Data discovery is one of those methods that brings together the discovery and behavioral analysis on big data. When we talk about data discovery, it is the process by which the IT sector extracts the actionable pattern from any data. There are new upgrade and innovation every day in the day to day world. What makes all this important is the enhancement of the insight-led business ecosystem and revenue growth. Data Maturity Consulting assists organizations to evaluate themselves against best practices, identify gaps, and improve creations and management of data assets various lines and boundaries of businesses. VertexPlus’ Consultants helps an organization determine capabilities they need to create a comprehensive enterprise scale data architecture, one that is competent to augment the performance levels of its data management processes, data governance and gives reliable data to build insights upon. We help companies assess their Data Maturity Model, build the right foundation and suggesting strategic roadmaps to position data as a critical part of the organization. Data science is still a toddling industry, and while some organizations are making investments in this area having a good understanding of how to leverage data for business growth, most are still at low levels of data maturity, grappling with challenges such as having no analytic environment, loose data architecture, weak data governance and less understanding of levelling up data management for future. Our Data & Analytics consulting practices lends reviews and recommendations to help organizations avoid the pains of adopting BI ecosystem, BI & Data operating models, data governance policies and procedures, building and scaling data platforms, new data strategies and long-term visionary plans across people, processes and technology. Data Analysis was always important for an organization because before and after creating a record it all about the analyzed data that the member of organizations refer to. And with passing time it has become the lifeline of the IT sector. Machine Language, Big Data, Data science and Deep Learning are the range of technologies that are used to analyze a huge volume of data. It helps the company to keep the pace with the expanding market. 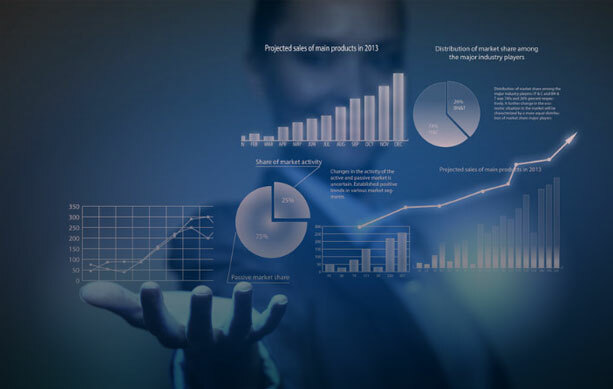 Moreover, to get a deeper insight into the behavior of the client, the new revenues created, and the system performance Big Data has been profiting the organizations greatly. The data analytics revolution has created a buzz for all the clients and organization depending on data completely/ majorly. The tools and methods used for Big Data analyzing are helping VertexPlus to deliver their clients with utmost accurate work. The data management is a process of administration that includes the validating, storing, processing and acquiring all the data in a systematic manner ensuring the visibility, reliability, accessibility and time taken to collect all that data from the users. In recent and also the coming time, organizations are using and will be using the Big Data in full force. The big data is helping the firms to organize their work and make use of Big Data in making business decisions and gain a better insight of the customer behavior, new coming trends, and opportunity created in the market. But the next question to be asked is what has made the data so much valuable in the market? It is all about its sources? Or about its quality? Or about the format? But the value of data is not decided by any of these and it’s just one thing that it depends on is the way you use it. VertexPlus not only helps its clients but also give them all the information they need and that too in an adequate amount. The DLP or Data Leakage Prevention solution offers all the necessary technology infrastructure so that the data can be organized in a desired way whenever needed. This makes it possible for the firms to take necessary steps in the right time. Moreover, there are a number of solutions that can be used to apply the classification of organization. Then many organizations use these solutions to critically analyze their data and then classify it. Sometimes, if this step goes wrong, the organizations face obstacles in using the solutions to the fullest.